Christophe Lavigne just named president of the American brands of the Beneteau group, Wellcraft, Glastron, Four Winns and Scarab. A good opportunity to ask him some question about the future of theses brands. 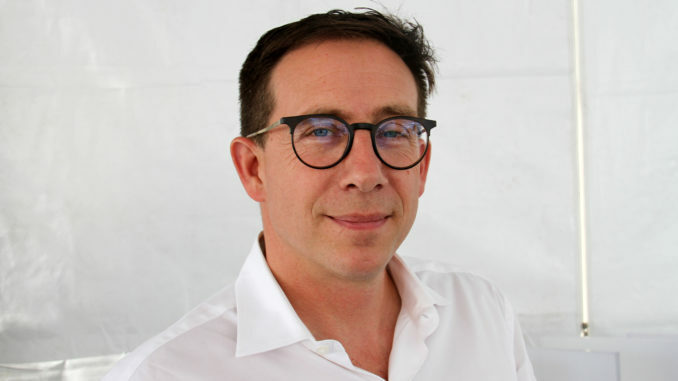 Y & S : Christophe Lavigne, you have just been named president of the American brands of the Beneteau group. Could you introduce yourself? Christophe Lavigne : I am French by origin. I have always been passionate about boats. My father was an architect who designed bridges. He was also a boat enthusiast who loved to pass under his bridges with his boats. I had my first sailboat at 5 years old and I have always sailed on sailboats, but also on motorboats. I studied mechanical engineering and industrial design in France. When I was younger, I drew boats on my math books. The funny thing is, when I was studying, I did not think I would be working in the nautical industry one day, which seemed too small for me, but in the end, I never worked outside of this business. I started while I was still a student in companies like Wichard and then I had a rare opportunity to do my military service in an industrial cooperation for the Jeanneau brand in Canada. During this period, Jeanneau had bought a Canadian division. They hired me, they trained me and I produced with the Canadian team, the Sun Odyssey 28. In 1995, there was a lot of change for Jeanneau and Beneteau but I stayed in Canada for 13 years as a motor boat designer for Jeanneau Canada who had been renamed Doral. For almost 15 years, I developed the different ranges for Doral. In 2007, Genmar was looking for someone who could renew the design and internationalize the Four Winns brand and they hired me. That’s why I came to the United States. Subsequently, the group experienced problems and was bought by Platinum group, that includes four US brands on the Cadillac production plant in Michigan, Four Winns, Glastron, Wellcraft and Scarab. I was then asked to take charge of these four brands. It was pretty successful and Platinium sold the four brands to Beneteau. The French group wanted to keep our services and also asked me to develop after-sales services which allowed me to establish a closer connection with customers, and then gave me opportunities to improve the products with what I learned from the customers. Finally, in October 2018, Beneteau proposed that I take the presidency of the four American brands. Y & S : Christophe Lavigne, Does this reorganization mean there will be a sharper separation between the European and US brands of the group? Christophe Lavigne : Not at all. Brands have their own life, their own DNA, their own identity and that will stay. I think on the contrary, we will strengthen our industrial links which are already strong since we already produce European products in Cadillac. So there is going to be more synergy, but on the other hand, each brand will keep its independence because, a brand is only valuable if it has its own DNA, its own raison d’être. We will also keep our own distribution network and our own commercial policy. 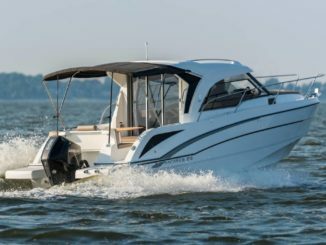 Y & S : Christophe Lavigne, Some customers, especially in the US, are a little worried that American brands will lose some of their identity and their legacy in favor of the Beneteau model. Will you keep this heritage and even revive some mythical models of these brands? Christophe Lavigne : The first thing to note is that American brands are made in Michigan by 650 American workers who are very proud to produce American boats that are also primarily designed for North American customers and we want to keep this specificity, because that’s also why the Beneteau group bought these brands. It’s not to turn them into European brands. As an individual, I have three nationalities, French, Canadian and American. So I also feel American. I always tell our international customers that buying one of our boats is buying a piece of America, a little bit of the American dream, and we really want to keep this idea. It also means we’re going to keep some elements like hulls. On the other hand, you are referring to something we have also noted regarding the Scarab brand. 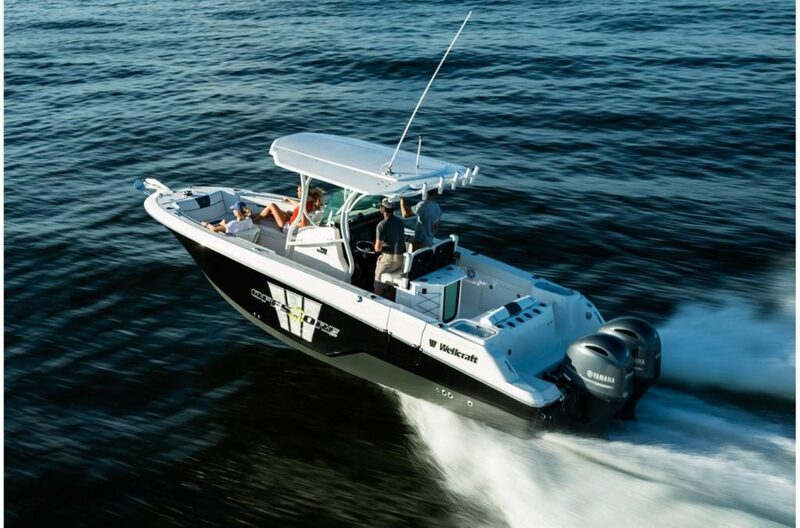 Some customers still have in mind the identity of Wellcraft Scarab fishing boats and are a little disturbed by the fact that Scarab has now become a full fledged brand with a range of jet boats. It was a strategic decision made before the buyout by Beneteau group. 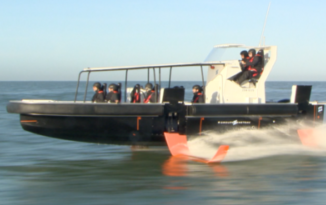 As a result, the Scarab boats adopt a different propulsion system and need a different hull. However, we have retained the name Scarab on a Wellcraft series as was the case before with deep V fast hulls capable of reaching 60 or 65 mph. But no one has to worry, we will not change our American identity.